Shraddha Das is an Indian film actress who mainly works in Telugu and Hindi movies. She has appeared in films such as Great Grand Masti, Dictator, Guntur Talkies, Ouija, Dracula 2012, and Darling. Shraddha Das was born on 4th March 1987, in Bombay, Maharashtra, India. She is currently 32 years old. Shraddha finished her school education in Mumbai, where she was raised. She earned her Bachelor degree in Mass Media degree in journalism from the University of Mumbai at SIES College of Commerce and Economics, Mumbai. 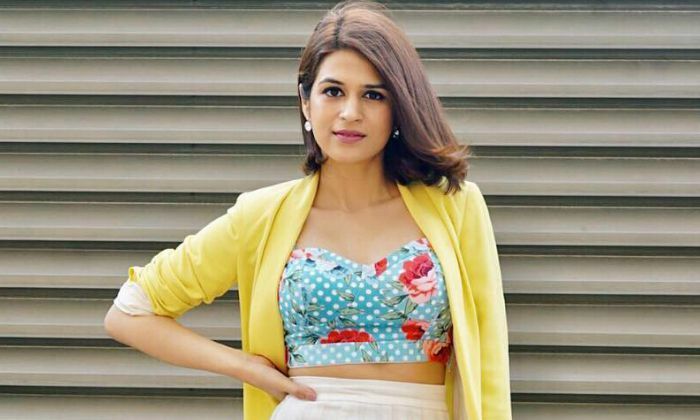 Shraddha Das is presumed to be single. She prefers to keep her personal life away from the media and usually not vocal when it comes to her love life or past relationships. Shraddha Das made her acting debut with the Telugu film “Siddu from Sikakulam” in 2008, in which she played the role of Nisha. In 2010, she won her first acting role in Hindi with the film Lahore for her role as Ida. Her Kannada debut came in 2012 with the film Hosa Prema Purana and she made her Malayalam debut in the movie Dracula 2012 in 2013. She has appeared in many TV shows. Shraddha has appeared in TV commercials and print ads for McDowells, Aristocrat and over 400 catalogs. Her net worth and salary are currently unavailable. While pursuing college, she worked in theater and attended workshops conducted by National School of Drama artists like Piyush Mishra, Chittaranjan Giri, and Salim Shah. She studied acting at the Gladrags academy. Shraddha has starred in different Indian language films like Telugu, Hindi, Kannada, Malayalam and Bengali. She cites actress SushmitaSen as her biggest inspiration for her to pursue acting.